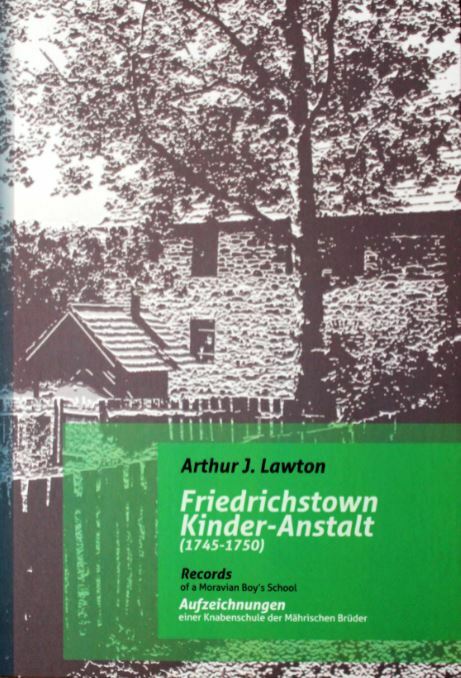 The book series transcribes and translates the records (written in Alte-Schrift) of the Moravian Kinder-Anstalt (children's school) and will include the Philipp Christian Bader school treacher's manual as the fourth volume as it prescribes the pedagogical philosophy by which the Friedrichstown children were taught. The Friedrichstown records consist of the Kirchenbuch (church book), Vol. I, the Tagebuch (Daybook) Vol. II and the Hauptbuch (the operational accounting ledger) Vol. III. The Kinder-Anstalt is remarkable for the fact that it was racially, ethnically and politically color-blind, treating all children equally. Its teaching philosophy was that of the Jena method, promoted by the University of Jena. The Bader manual is remarkable because the Jena method spells out in detail both how to manage the classroom and children and how exactly to teach children to read and write. The Tagebuch lists in detail every purchase made for the school over the five year period and every product sold or service rendered in the Friedrichstown community. It records all the grain crops grown and mill products rendered by the Antes mill and details not only every purchasing trip made to Philadelphia but exactly what fabrics and how many yards of each were billed to the parents in making every piece of the children's and the adult's clothing and shoes. 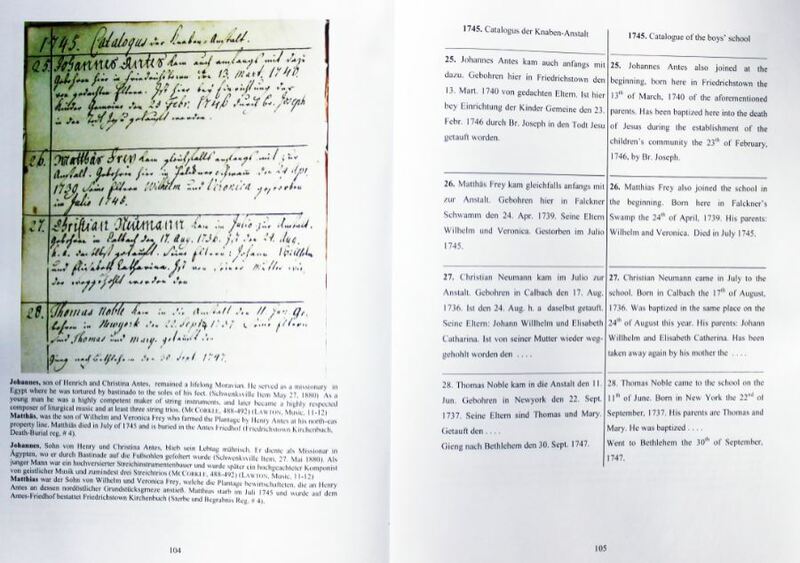 The Hauptbuch brings all the information of the Tagebuch together as individual accounts for each of the parents, as well as the accounts for the various operations of the school as a whole.